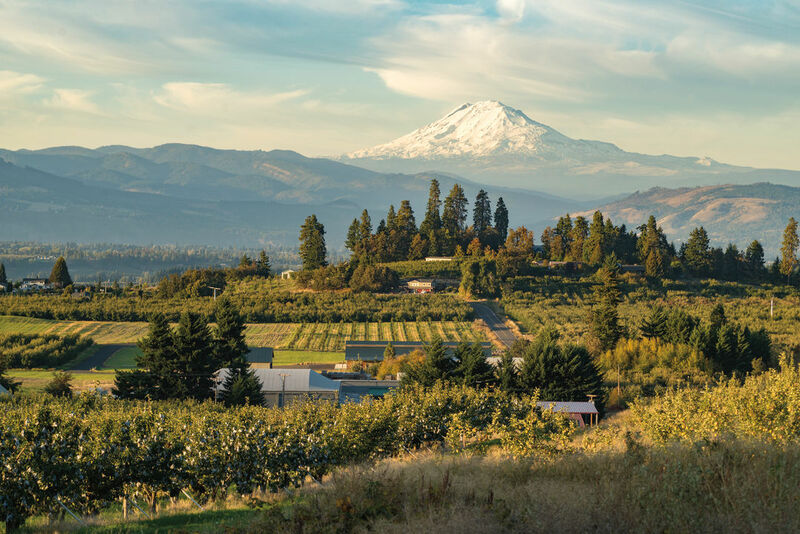 Come early fall, when the air carries spice and the orchard trees of Oregon's Hood River Valley bow with fruit, nothing tempts quite like an heirloom apple. (Or a bushel of 'em.) From Arkansas Black to Northern Spy and Winter Banana, October is when these tawny-skinned beauties come into their own, wind-tousled and plumping in the year's last warm sun. While the season grows uncertain-and increasingly nippy-you can still soothe the soul with a day spent handling and harvesting the good things that grow so close to home. Broder Ost for lefse, lamb burger or trout hash. Kiyokawa Family Orchards for one of the most apple-tastic farmstands. Fox Tail Cider for a tasting flight of hard ciders. Draper Girls Country Farm for hands-on U-pick harvesting. Rack & Cloth's for a tasting room waiting with bites, snifters of dry, vinous cider and a perfect view.